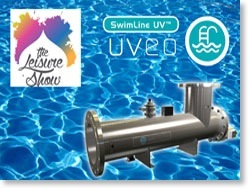 Hanovia is exhibiting its new SwimLine UVEO (Ultraviolet Energy Optimised) UV disinfection system at The Leisure Show, 28 - 30 September in Dubai (Booth 1E33). Using up to 60% less power than conventional UV systems – with just a single UV lamp – it delivers a guaranteed, consistent UV dose with maximum efficiency. The SwimLine UVEO features an optimised hydraulic design which provides up to 60% improvement in treatment capacity compared to conventional UV systems. 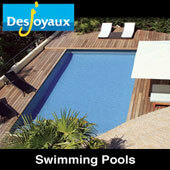 This significantly reduces running costs for 24/7 applications such as swimming pools. A primary benefit is that treatment is performed with just a single UV lamp, eliminating the need to install a bigger system with multiple lamps. This saves on upfront capital costs and lifetime spares costs. The system also utilises an electronic ballast with ‘stepless’ power control, automatically adjusting power to continuously match pool operating conditions. The SwimLine UVEO is optimised specifically for pool bio-safety and ensures chlorine-resistant organisms, such as Cryptosporidium and Giardia, are controlled with the optimum UV dose. 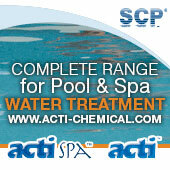 It is compliant with both local country standards and the emerging US Model Aquatic Health Code requirements. The optimised, medium pressure UV lamp provides excellent chloramine reduction, ensuring effective control of the unpleasant by-products of chlorine dosing which are responsible for the typical ‘chlorine smell’, red, stinging eyes and skin irritations associated with public pools. It also delivers high quality pool water, reduced corrosion of metal structures and a healthier environment for bathers. Offered in a range of sizes and treatment capacities to meet typical pool sizes, the SwimLine UVEO is designed for easy installation into existing pipework, matching pipe velocities and turnover rates in all pools. It is fitted with an internal auto-wiper which maintains UV output efficiency by cleaning the quartz sleeve housing the UV lamp. Lamp replacement is is quick and easy, with the system designed to allow easy access, even in small plant rooms.